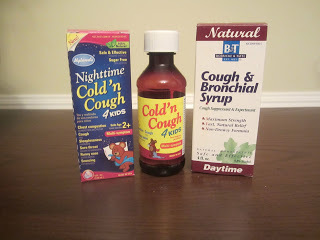 for cough and cold medicines, so I thought I’d do a post on it. effective as once thought, and can be dangerous if given at high doses. during cold or flu season, or when something is going around. Here’s my disclaimer: I’m not a doctor. Use common sense. Read the instructions on the medicines. Check with your doctor if you want. This is stuff we do. I’m not giving medical advice. Blah, blah, blah. spray. We don’t get sore throats very often. 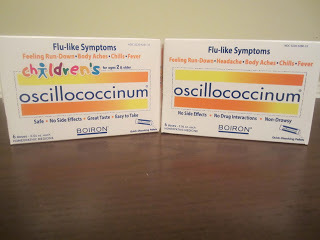 For some reason, B&T doesn’t have a fever/pain reducer that I’ve ever been able to find. to avoid. This is stage 1. Ricola cough drops are Feingold approved (stage 2). 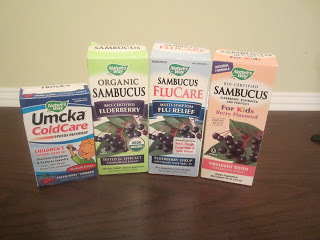 My friend also told me about Sambucus Elderberry Syrup and cold and flu products by Nature’s Way. She said her friend swears by them. The Flu Care contains dairy. These are not listed in the Feingold shopping guide. All stage 2.
uses this and likes it. It’s also not in the shopping guide, so not sure if it’s approved or not. My midwife also makes a tea for cough for my kids. lemon and honey (stage 2) to your tea too. when they had a cold before too. before when I had a terrible stomach flu and it really does help a lot. They sell the big boxes at Sam’s Club, or you can get individual ones at Whole Foods. They have lots of different flavors. I don’t worry so much about staying stage 1 when my kids are sick. It’s more important that they get better. my midwife makes a Tummy Tamer tea that works really well. just look for a tea for stomach upset. fever, I may give to them in between doses of Advil. My kids think these are candy for some reason. Motrin or Advil Dye Free Pain Reliever/Fever Reducer. 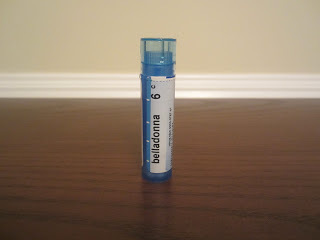 give my kids glutathione gel, which I got through my holistic doctor. It’s just like a lotion that I rub on the small of their back. have time to do that. Look at the dosing though. For younger kids, they may only need ¼ of a tablet. immune system, we use several vitamins. 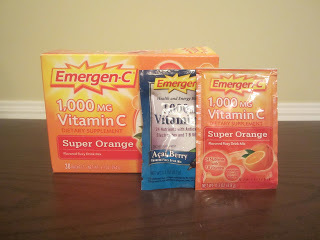 of vitamin C from Emer-Gen-C.
my 2 year old 1,000 mg and 2,000 or more to my older kids. with food or it can cause an upset stomach. 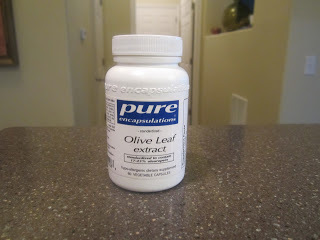 We use Green Pasture brand – unflavored capsules. I order online. Great for the immune system. This will kill bacteria and yeast. 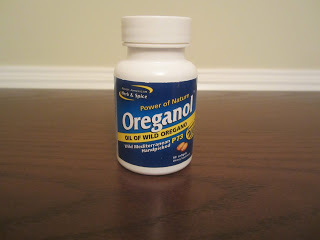 Mediterranean Oreganol is the best brand. kids’ feet if they can’t swallow the capsules. It will absorb into the skin. bacteria that you’re trying to get rid of. Resist the urge to give them lots of pop. Some is OK to calm the stomach. pineapples and bananas to make a smoothie. called Sir Strawberry that would work well for that. I’m not sure if they still make it or not. dump the contents into juice or food. your kid will taste it and not finish it. fever, they really wanted me to give him antibiotics. figured we’d just deal with it. 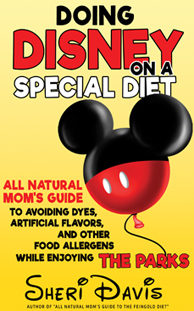 out supporting the fact that dyes are linked to hyperactivity. removing dyes could eliminate ADHD symptoms. and he had given me a bad e-mail address!). figured he probably wouldn’t watch the video anyway. was so sick, I finally just said, “Ya know what? Forget it. I’ll take care of it myself” and I hung up on him. I think he tried to call back but I didn’t answer. but they did try to give us him one time and I said no way. He’s since left that practice. I wonder why. I’ve never met such an egotistical doctor in my life. Walgreens pharmacist always knows what I’m talking about. 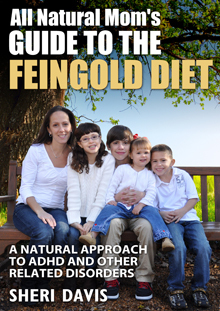 “All Natural Mom’s Guide to the Feingold Diet – A Natural Approach to ADHD” now available on Amazon! 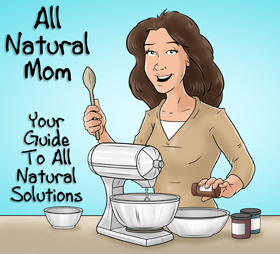 Posted in Biomed, Natural Living and tagged All About Supplements, All Natural Remedies, Feingold Diet Info. "If they do take antibiotics, then I double up on their probiotics and give at least 2 hours away from the antibiotics." Yes, I heard this before in some trusted medical articles. 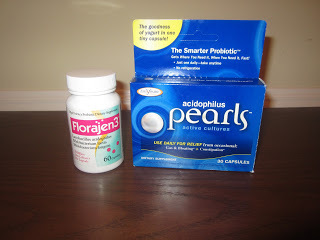 When you are taking antibiotics, you must also take probiotics after to balance the bacteria inside you gut. So cool. I also use Elderberry syrup for the children, it really boosts the immune system and shortens the cold by 3-5days, google it, it's a great thing to keep in your house. Also, since you like natural & have a 2yr. old I thought I share this with you, you can also share this w/your friends! I use this skin care as well! Yes, I do watch what we put on their skin. We do the Feingold Diet, so we avoid chemicals on the skin too as it absorbs. We use California Baby sunscreen and don't really use lotion. 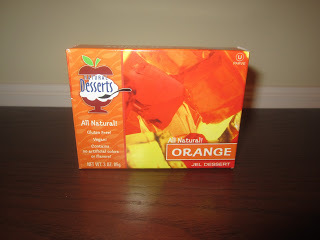 I use Desert Essence lotion sometimes. I'll check out that site. Thanks! 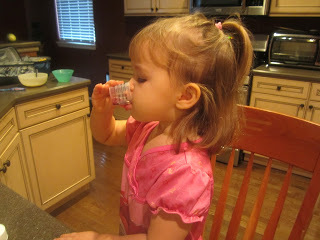 I am so glad Elderberry works with the FG diet- that stuff is amazing! Hi, i know this is an old post but I just came across it now researching for my daughter’s croup/cold and its very helpful. My daughter just turned 2 and like your son, has a history of febrile seizures. Last night, she suddenly started a barking cough which i recognized as croup. Today she acts fine but her fever started to climb so i gave her tylenol out of fear of another seizure (shes had 4 so far since 4 months ago!). We give her probiotics every day and a multi vitamin. 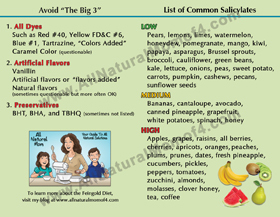 Do you know if its ok to give elderberry syrup in addition to tylenol or motrin? 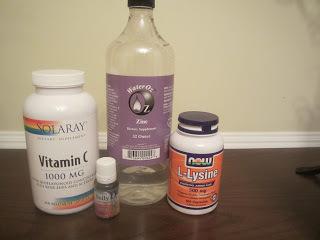 We rotate the 2 but im wondering if i give elderberry syrup, extra vitamin c, d, cod oil and zinc, if it will help her. Im just scared if i dont give the fever reducing meds and wondered if i can give extra stuff on top of it? Hi Esther. For croup, I always took my son outside to sit with a blanket on (it was usually cold out). The cold air helps the croup for some reason. Or, I’d sit them in the bathroom with a hot shower running. For fevers, you can also use lime essential oil. Put one drop on a cotton ball diluted with some coconut oil and rub it on the bottom of their feet and/or along their spine every hour. I try to stay away from Tylenol now. If you can control the fever with just dye free Motrin, that’s better. Yes elderberry syrup and all of those supps are fine and good. I just spaced it out from the Motrin so every couple hours, my kids would get something. I only do Motrin if the fever is over 102-103. They tend to spike a fever after the Motrin wears off. My son’s seizures stopped immediately when we pulled certain foods. I believe they were caused by gluten and dairy, and possibly eggs and/or peanuts. Has she ever been tested for food allergies? 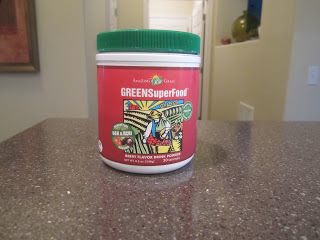 Do a search on my blog for allergies and GFCF. I have blog posts explaining both. Good luck! Hope she feels better!